Please make sure you read the information in your visa approval e-mail carefully. You will find important information regarding your visa validity period, whether your visa is a single or multi-entry permit and conditions on your visa. Where family members have also been granted visas their conditions may be different to yours. 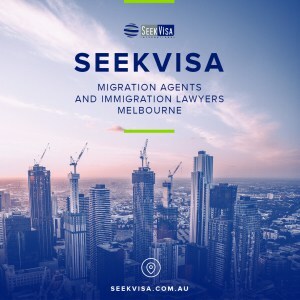 In addition to the information regarding your visa, Seekvisa would like to welcome you to Australia and provide you some basic information to help you get started. If your visa has work rights it is likely that you will need a tax file number. The Australian Taxation Office (ATO) can help you with a TFN once you have physically arrived in Australia. To apply go here, it’s a very easy online process. Please note that Seekvisa is not registered to provide taxation advice. If you need taxation or accounting advice we suggest you contact an accountant of your choice. If you would like us to refer you to an accountant who understands visa related matters, please let us know (Seekvisa may receive a referral fee). Operated by the Department of Human Services, Medicare is the primary funder of health care in Australia, funding health care for Australian citizens and permanent residents. In some circumstances there are reciprocal arrangements which allow temporary visa holders to access Medicare. You can see if you may be eligible under the reciprocal agreements here. If you hold a subclass 482 (Temporary Skills Shortage) Visa, having Medicare covers your ongoing condition to maintain health insurance while you are in Australia, rather than you having to pay for insurance. Please note that you will need to check your eligibility directly with Medicare yourself once you have arrived in Australia because it is not available to everyone. 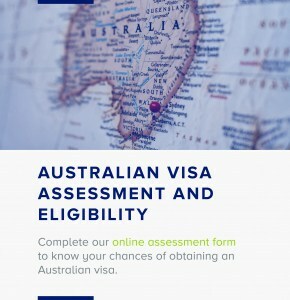 If you hold a subclass 482 (Temporary Skills Shortage) Visa there is a condition on your visa which states that you must commence your employment within 90 days of arriving in Australia; or if already in Australia at the time the visa is granted, within 90 days of the grant of the visa. If your occupation has mandatory licensing or registration requirements you must first obtain your license. Please discuss any licensing requirements with your employer to avoid delays to your intended start date. Your occupation may also have requirements for tools or protective clothes to be arranged. Please discuss this directly with your employer. In Australia you must have a driver’s licence to drive and the vehicle must be registered with the government. It is illegal to drive without a driver’s licence and to drive an unregistered vehicle. Driver’s licences and car registration are issued by state and territory governments. If you are a temporary visa holder you may be able to drive lawfully under your current home country’s license (you should have a translation on-hand). Please check all driver’s licence requirement with the state or territory government where you intend to live. If your circumstances change you should notify Seekvisa as soon as possible. This may include for example a new address, a new passport or a change in relationship status of any visa holder. If you are considering changing jobs (including a new role with the same sponsor) please contact Seekvisa before any changes are made. WHAT CAN BE BROUGHT INTO AUSTRALIA? Australia has very strict rules about what can be brought into the country, and what you can take back home with you when you leave. Please visit this page to understand more. In an emergency, for police, ambulance or the fire department call 000 via telephone. For non-urgent matters, ring 13 1444 or your local police station. Their numbers are listed under ‘Police stations’ in the White Pages telephone directory.